The entire forefoot is made with stretchable spandex to offer relief from bunions, corns and other ailments. The rest of the upper is soft full grain leather. Two straps are adjustable with hook & loop fasteners. the blucher cut allows for a wide range of fit. The forefoot lining has an anti-microbial treatment. 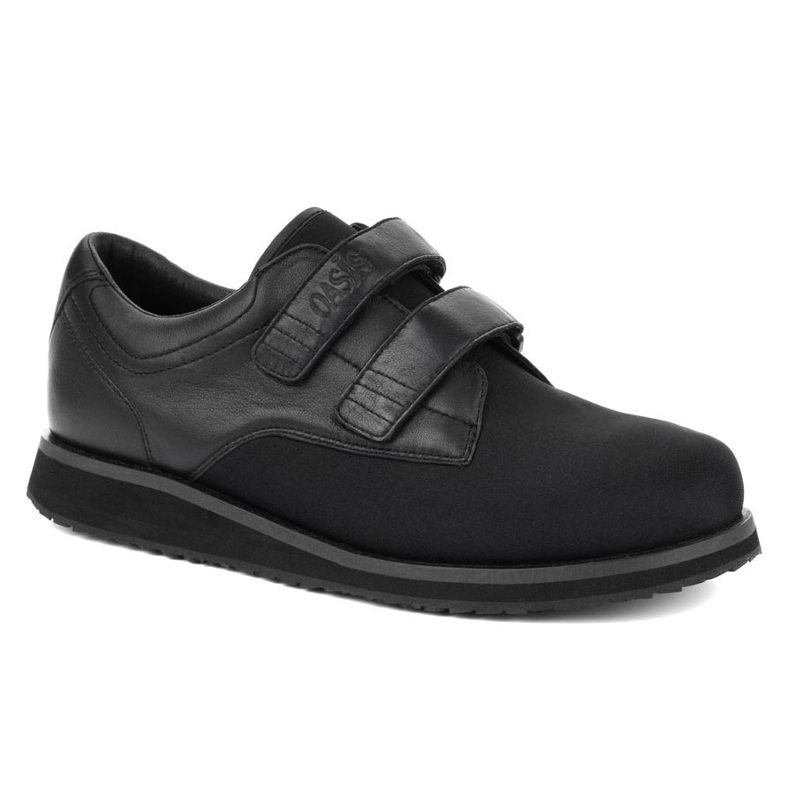 The shoe features a contoured removable footbed and a removable spacer to allow for the use of orthotics. The flat outsole is designed to minimize tripping and slipping.